When you stay at Desert Paradise Resort by Diamond Resorts in Las Vegas, you'll be near the airport, a 3-minute drive from Orleans Arena and 7 minutes from T-Mobile Arena. This condominium resort is 2.4 mi (3.8 km) from MGM Grand Casino and 3 mi (4.8 km) from Park Theater. Make yourself at home in one of the 148 air-conditioned rooms featuring kitchens with refrigerators and ovens. Rooms have private patios. Flat-screen televisions with cable programming provide entertainment, while wireless Internet access (surcharge) keeps you connected. Conveniences include safes and microwaves, and housekeeping is provided on a limited basis. 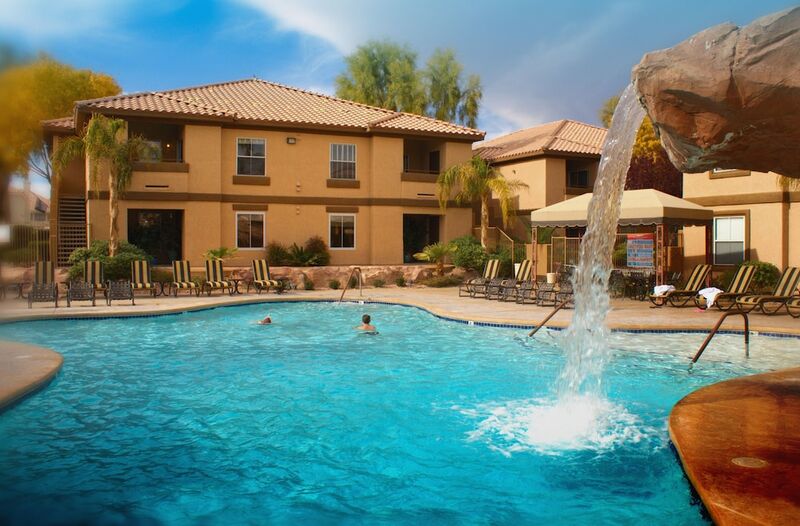 Dip into one of the 2 outdoor swimming pools or enjoy other recreational amenities, which include a fitness center. Additional features at this condominium resort include wireless Internet access (surcharge), an arcade/game room, and a fireplace in the lobby.